Our chickens live outside on the grass. We use mobile enclosures to move them daily to fresh pasture. We believe this creates a clean tasting, nutritionally superior bird. No routine or habitual antibiotics, no added hormones, no clipping their beaks. These chickens thrive on non-GMO grain, surrounded by fresh air, abundant bugs, and warm sunshine. Available for sale by appointment at the farm. Order as many, or as few as you’d like! 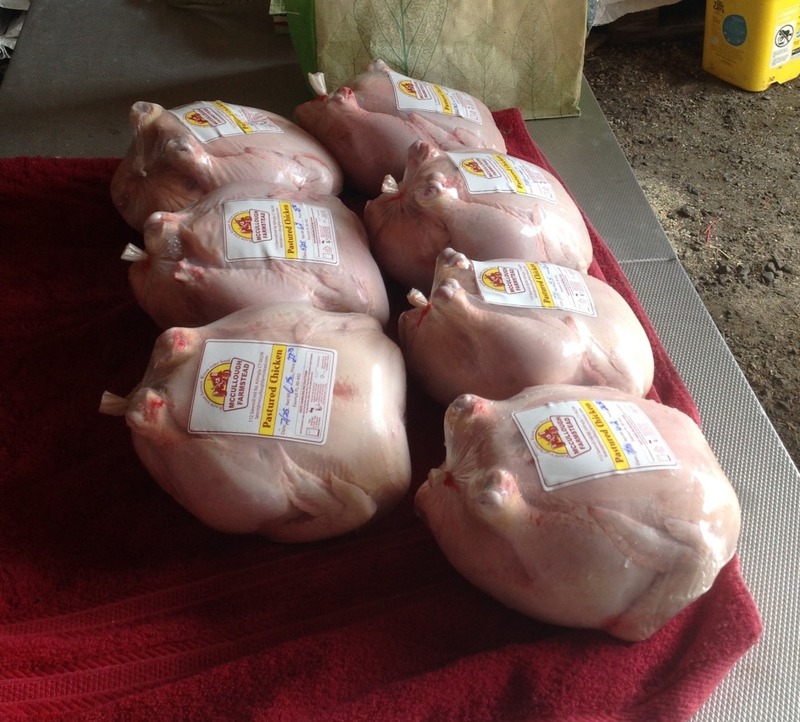 $5lb….Our goal is to raise a four pound chicken. The chicken looked great in its clear vacuum wrap. I split it and roasted it with rosemary, garlic, and lemons. It was wonderful. So tender! Doesn't get better than this! There is a noticeable difference in these birds! So glad I filled the freezer, and will definitely jump on the first batch next spring! So glad to find someone as passionate to produce good food as I am to buy (and eat!) it!